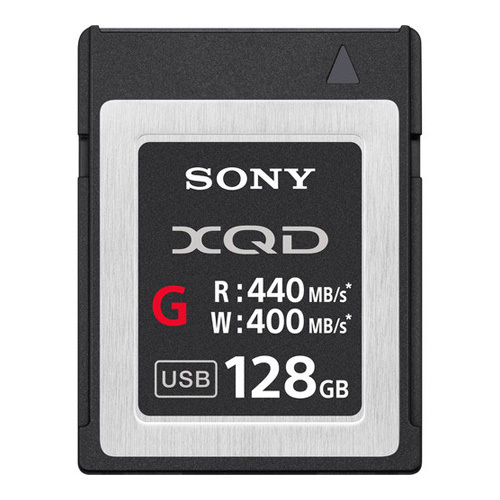 The Sony QDG128E is a lightning-fast G-Series 128GB XQD Memory Card designed for dependable 4K video recording. The QDG128E allows up to 40 minutes of 4K XAVC Intra 422 60p (600Mbps) recording with Sony 4K Video Cameras. With Sony's advanced PCIe Gen2 interface, the QDG128E can read data at speeds up to 440 MB/s and write at up to 400 MB/s. XQD is made to handle heavy, sustained amounts of data like 4K video and high-speed burst RAW photos from a Digital SLR or Mirrorless camera.